I am currently serving as full-time R&D staff at Oak Ridge National Laboratory since May 11, 2009 and Joint Faculty at The University of Tennessee since August 1, 2012. I graduated from The University of Tennessee at Knoxville with a Ph.D. in Computer Science in May 2009. I graduated from Jacksonville State University, AL, in Spring 2001 with a double-B.S. in Mathematics and Computer Science, and again with a M.S. in Systems and Software Design in Spring 2004. My interests include: Human/Computer Interaction (HCI), Artificial Intelligence (AI), scientific visualization, automation, optimization, General Purpose computation on Graphical Processing Units (GPGPU), High Performance Computing (HPC), energy efficient buildings, computer vision, data fusion, robotics, computer graphics, virtual reality, drones, Brain Machine Interfaces (BMI), 3D printing, and quantum computing. Garrison, Eric, New, Joshua R., and Adams, Mark (2019). "Buildings as Thermal Batteries: Peak-Shaving Potential of Smart Thermostats and Varying Thermal Capacitance." To appear in Proceedings of the IBPSA Building Simulation Conference, Rome, Italy, Sept. 2-4, 2019. Garrison, Eric, New, Joshua R., and Adams, Mark (2019). "Nailing the Peak: City-Scale, Building-Specific Load Factor and Contribution to a Utility's Hour of Critical Generation." To appear in Proceedings of the IBPSA Building Simulation Conference, Rome, Italy, Sept. 2-4, 2019. Roth, Amir, Haves, Philip, Im, Piljae, New, Joshua R., Judkoff, Ron, Li, Qi, and Muehleisen, Ralph (2019). "Empirical Validation of BEM Engines: A New Hope." To appear in Proceedings of the IBPSA Building Simulation Conference, Rome, Italy, Sept. 2-4, 2019. Im, Piljae and New, Joshua R. (2019). "Empirical Validation of Building Energy Modeling using Flexible Research Platform." To appear in Proceedings of the IBPSA Building Simulation Conference, Rome, Italy, Sept. 2-4, 2019. Im, Piljae and New, Joshua R. (2019). "Updated OpenStudio Small and Medium Office Prototype Models." To appear in Proceedings of the IBPSA Building Simulation Conference, Rome, Italy, Sept. 2-4, 2019. Rose, Amy, Allen, Melissa, Omitaomu, Femi, Yuan, Jiangye, New, Joshua R., Branstetter, Marcia, Sylvester, Linda, Seals, Matthew, Carvalhaes, Thomaz, Kolosna, Carl, Adams, Mark, Bhandari, Mahabir, Shrestha, Som, and Berres, Anne (2018). "Development of an Urban Microclimate and Energy Planning Tool (Urban-MET)." LDRD Report: 105920, LDRD LOIS #7909, July 2018. Im, Piljae and New, Joshua R. (2018). "Updated OpenStudio (OS) Small Office Prototype Model." ORNL internal report ORNL/SPR-2018/885, June 2018, 20 pages. New, Joshua, Adams, Mark, Garrison, Eric, Yang, Hsiuhan, Omitaomu, Olufemi, Rose, Amy (2018). "Data Sources and Assumptions Underlying Virtual-EPB Analysis." ORNL internal report ORNL/TM-2018/841, March 2018, 23 pages. Im, Piljae and New, Joshua R. (2018). "Updated OpenStudio (OS) Medium Office Prototype Model." ORNL internal report ORNL/SPR-2018/783, February 2018, 20 pages. Carvalhaes, Thomaz, Seals, Matthew, Allen, Melissa, New, Joshua, Omitaomu, Olufemi, and Yuan, Jiangye (2017). "Developing 3D Morphologies for Simulating Building Energy Demand in Urban Microclimates Part. 1." ORNL internal report ORNL/TM-2017/354, July 2017, 29 pages. Pallin, Simon, Stockdale, Michaela, Boudreaux, Philip, Buechler, Elizabeth, and Carpenter, Jared (2017). "Effects of air leakage on buildings overall thermal resistances based on U.S. climate zones." In Proceedings of the 2017 ASHRAE Conference, Long Beach, CA, June 24-28, 2017. Bhandari, Mahabir, Shrestha, Som, New, Joshua R., and Allen, Melissa (2017). "Comparison of Microclimate Simulated Weather Data to ASHRAE Clear Sky Model and Measured Data." ORNL internal report ORNL/TM-2017/241, April 2017, 27 pages. Pallin, Simon, Boudreaux, Philip, Shrestha, Som, Adams, Mark, and New, Joshua R. (2017). "State-of-the-Art for Hygrothermal Simulation Tools." ORNL internal report ORNL/TM-2017/92, March 30, 2017, 22 pages. Srivastava, Prateek, Khan, Yasin, Mathur, Jyotirmay and Bhandari, Mahabir (2017). "Analysis of Radiant Cooling System Integrated with Cooling Tower for Composite Climatic Conditions." In Proceedings of the Building Simulation Conference, San Francisco, CA, August 6-8, 2017. Mathur, Jyotirmay, Bhandari, Mahabir, Khan, Yasin (2017). "Energy-Saving Potential of a Radiant Cooling System in Different Climate Zones of India." In Journal of Science and technology for the Built Environment. Mathur, Jyotirmay, Bhandari, Mahabir, Kumar, Vivek, Khan, Yasin and Kumar, Prateek (2017). "Development of Heat Transfer Model for Ceiling Radiant Cooling Panel through Combined Experimental and Simulation Study." In Journal of ASHRAE Transaction, poster in Proceedings of the ASHRAE Winter Conference, Las Vegas, NV, January 1, 2017. Im, Piljae, Bhandari, Mahabir, and New, Joshua R. (2017). "Calibrated EnergyPlus Model of Flexible Research Platform (FRP) with Baseline RTU-VAV Reheat System." ORNL internal report ORNL/TM-2017/4, January 31, 2017, 22 pages. Im, Piljae and New, Joshua R. (2017). "Updated OpenStudio (OS) Large Office Prototype Model." ORNL internal report ORNL/TM-2017/1, January 31, 2017, 19 pages. Buechler, Elizabeth, Pallin, Simon, Boudreaux, Philip, and Stockdale, Michaela (2017). 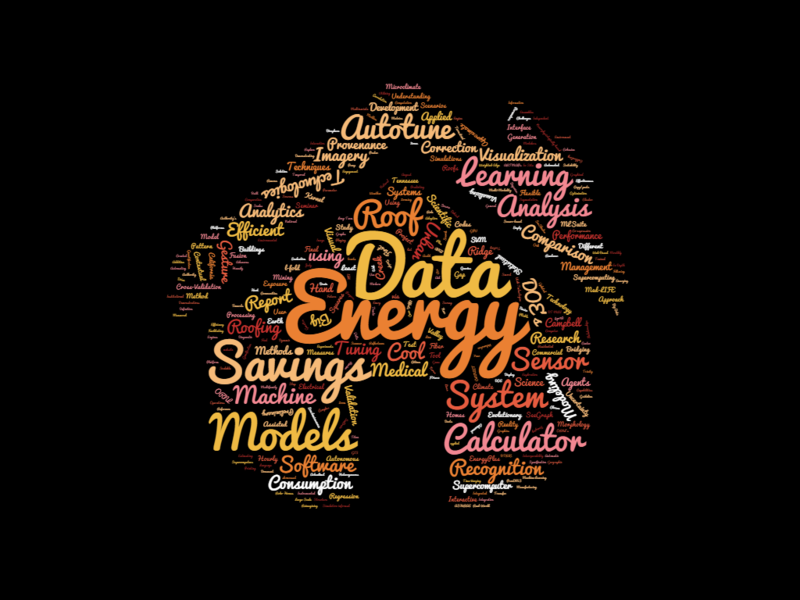 "Probabilistic modeling of the indoor climates of residential buildings using EnergyPlus." In Journal of Building Physics. Adams, Mark, Shires, Preston, Burova, Ksenia and New, Joshua R. (2016). "EnergyPlus Refactoring and Performance Improvements." ORNL internal report ORNL/TM-2016/593, December 28, 2016, 15 pages. Adams, Mark, and Martin, Chris. (2016). "OpenStudio Refactor and Performance Improvements." ORNL internal report ORNL/TM-2016/342, October 4, 2016, 20 pages. Ozmen, Ozgur, Nutaro, James, and Sanyal, Jibonananda. (2016). "Simulation-Based Testing of Control Software via Functional Mock-Up Unit Integration." In Proceedings of the North America Modelica Users' Group Conference, Troy, MI, September 29, 2016. Im, Piljae, New, Joshua R., and Bhandari, Mahabir S. (2016). 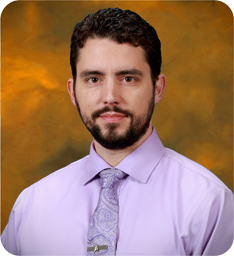 "Validation Plan for EnergyPlus Multi-Zone HVAC System using ORNL's Flexible Research Platforms." ORNL internal report ORNL/TM-2016/101, June 1, 2016, 22 pages. Shen, Bo, Adams, Mark, and New, Joshua R. (2016). "EnergyPlus Air Source Integrated Heat Pump Model." ORNL internal report ORNL/TM-2016/141, April 7, 2016, 23 pages. Yuan, Jiangye, New, Joshua R., Sanyal, Jibonananda, and Omitaomu, Olufemi (2015). "Urban Search Data Sources." ORNL internal report ORNL/TM-2015/397, July 31, 2015, 70 pages. Garrett, Aaron and New, Joshua R. (2014). "A Scientific Study of Automated Calibration applied to DOE Commercial Reference Buildings." ORNL internal report ORNL/TM-2014/709, automated/completely-reproducible report, December 31, 2014, 114 pages. 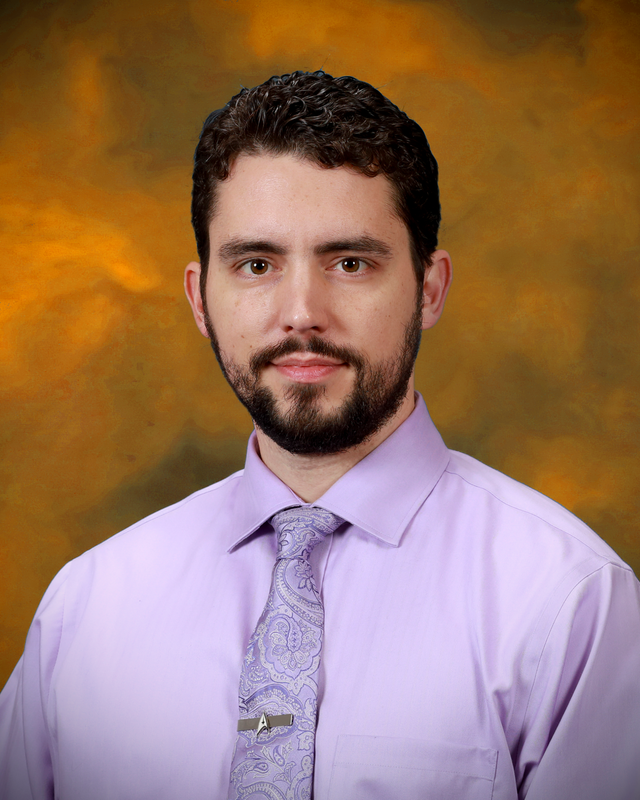 New, Joshua R. (2014). "Roof Savings Calculator and Autotune." Presented two posters as part of ORNL's Software Expo. Oak Ridge, TN, May 7, 2014. New, Joshua R. (2014). Invited Speaker. "Software vs. Reality - Bridging the Gap." Building Technologies Research and Integration Center Science Research Seminar Series, ORNL internal presentation 49608, 93 slides. Oak Ridge, TN, May 2, 2014. Sanyal, Jibonananda and New, Joshua R. (2013). "Oak Ridge Institutional Cluster Autotune Test Drive Report." ORNL internal report ORNL/TM-2014/46, February 17, 2014, 6 pages. Garrett, Aaron and New, Joshua R. (2013). "Trinity Test: Effectiveness of Automatic Tuning for Commercial Building Models." ORNL internal report ORNL/TM-2013/130, March 7, 2013, 24 pages. Edwards, Richard E., New, Joshua R., and Parker, Lynne E. (2012). "MLSuite - FY2012 Final Report." ORNL internal report ORNL/TM-2013/385, October 2012, 68 pages. Edwards, Richard E., Zhang, Hao, Parker, Lynne E. and New, Joshua R. (2012). "Approximate l-fold Cross-Validation with Least Squares SVM and Kernel Ridge Regression." ORNL internal report ORNL/TM-2012/419, August 2012, 9 pages. Boudreaux, Philip R., Gehl, Anthony C., New, Joshua R., and Christian, Jeffrey E. (2012). "Campbell Creek Energy Efficient Homes Project: Summer 2011 Performance Report." ORNL internal report ORNL/TM-2012/51, July 2012, 49 pages. Omitaomu, Olufemi A., Bhaduri, Budhendra L., Kodysh, Jeffrey B., Kramer, Ian S., Lapsa, Melissa V., New, Joshua R., Matheson, Michael A., and Shankar, Mallikarjun (2011). "LDRD Report: Citizen Engagement for Energy Efficient Communities (CoNNECT)." ORNL internal report LDRD LOIS #05971, July 2012. Garrett, Aaron and New, Joshua R. (2012). "An Evolutionary Approach to Parameter Tuning of Building Models (Experiments 1-17)." ORNL internal report ORNL/TM-2012/418, April 2012, 68 pages. Edwards, Richard E., New, Joshua R., and Parker, Lynne E. (2011). 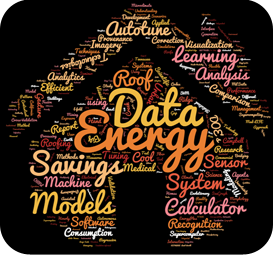 "Sensor-based Building Energy Modeling." ORNL internal report ORNL/TM-2011/328, September 2011, 79 pages. Miller, William A., New, Joshua R., Desjarlais, Andre O., Huang, Yu (Joe), Erdem, Ender, and Levinson, Ronnen (2010). "Task 2.5.4 - Development of an Energy Savings Calculator." California Energy Commissions (CEC) PIER Project, ORNL internal report ORNL/TM-2010/111, March 2010, 32 pages. Miller, William A., Cheng, Mengdawn, New, Joshua R., Levinson, Ronnen, Akbari, Hashem, and Berdahl, Paul (2010). "Task 2.5.5 - Natural Exposure Testing in California." California Energy Commissions (CEC) PIER Project, ORNL internal report ORNL/TM-2010/112, March 2010, 56 pages. New, Joshua R. (2007). "SeeShader: A System for General Purpose Computation on the GPU." Presented as part of a special edition of the UTK Computer Graphics Course, Knoxville, TN. New, Joshua R. (2006). "SeeBrain: A System for Comparative Visualization of Brain Nerve Fiber Tracts." Presented as the East Tennessee chapter of the Association for Computing Machinery (ACM), Knoxville, TN. New, Joshua R. (2006). "Fiber Renderer: A System for Visualizing Queries of DT-MRI tracts." Presented at the Vanderbilt University's Institute of Imaging Science, Nashville, TN. New, Joshua R. (2005). "SeeGraph: A System for Visualizing Weighted-Edge Graphs." Presented at the Oak Ridge National Laboratory, Oak Ridge, TN. New, Joshua R. (1999). "Sonoluminescence." In Proceedings of the College of Arts and Sciences 3rd Annual Undergraduate Research Symposium, Jacksonville State University, Jacksonville, AL.